2 WIN THE GO PRO 6 ➡ Visit http://spons.org/MotoMadness on your iPhone or Android phone to install Era of Celestials for free! 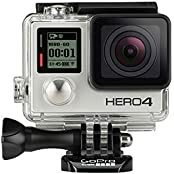 Once you have installed the game, visit the promo video at this link – https://youtu.be/iF0AW-Zrp-o – and comment “I want to win a GoPro6!” along with your email address. The winner will be chosen using a random comment generator and will be announced in 2 weeks time. You need to include your email address to qualify. Comments without it will be considered invalid. You will also need to supply a screenshot as proof that you installed Era of Celestials from http://spons.org/MotoMadness – Good Luck and thanks for the support!